If you read my last post (peanut butter chocolate chip skillet cookies), you may remember that I was practically begging the month of August to go away! I just thought I would update you that a lot of the things that were causing so much worry, have now passed. The choir performance, the art show, the bush camp and the tonsillectomy are all behind us now. Phew. Now just the Olympics report and the birthday party (and we’ve still avoided the chicken pox!) are left to tackle. As I write this, I’m enjoying one of these beautiful and amazingly delicious coconut scones, my favorite band is comforting me (Nirvana. I. Love. Nirvana. I always have, but recently, the band has became like my medicine, and makes me happy when I’m feeling down) and my little boy, my 4-year-old, my gorgeous silly teddy bear, is chillaxing on the sofa after his tonsillectomy. The poor thing hasn’t been coping well. So, I decided to let him alone (he doesn’t want to talk and doesn’t want me to talk to him) with the Minions movie this morning and bake up something relatively quick. Facebook reminded me this morning (as Facebook likes to do) about a recipe link I saved earlier for coconut scones, and I thought that this would be perfect. Scones are really, really easy to make. They take basically no time at all, and have the simplest ingredients. The only thing that makes them tricky is knowing when to stop working the dough (so that you won’t end up with tough, hard rocks!). The base recipe for these scones uses self-raising flour, caster sugar, unsalted butter and full-fat coconut milk. The flour and sugar are sifted into a medium bowl, to which the unsalted butter is added and then rubbed, with the tips of your fingers, or a pastry blender, into the flour until the mixture resembles fine breadcrumbs. Lastly, make a well in the center and pour in the coconut milk. Mix together with a butter knife until just combined. If you still have some loose bits of flour, that’s fine. Tip the dough out onto a lightly floured surface and knead gently until the dough is smooth. The keys here being, only mix the dough until just combined, and knead gently and minimally. The dough is then shaped into a disk and cut into 6cm rounds. 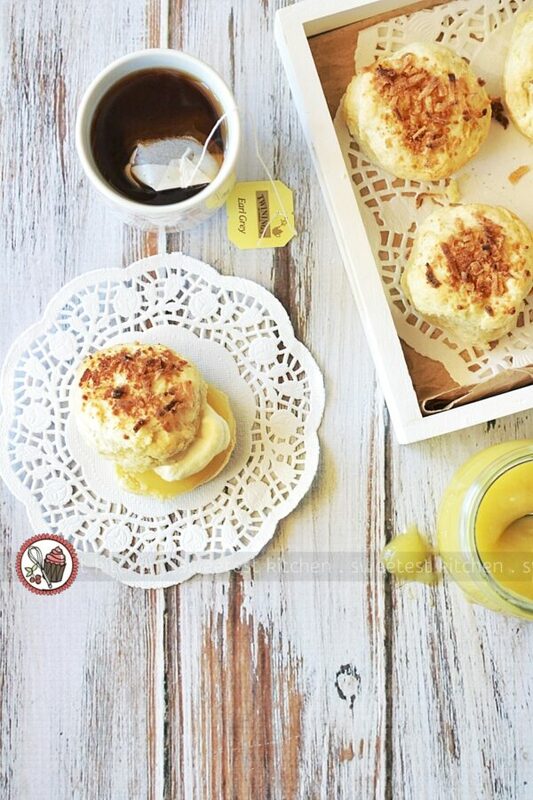 The scones are placed onto a baking sheet and brushed with leftover coconut milk, then sprinkled with a mixture of shredded coconut and coconut sugar. The scones are baked in a 200C oven for 16-18 minutes, but you’ll need to keep an eye on the shredded coconut as it may brown faster than the scones cook. 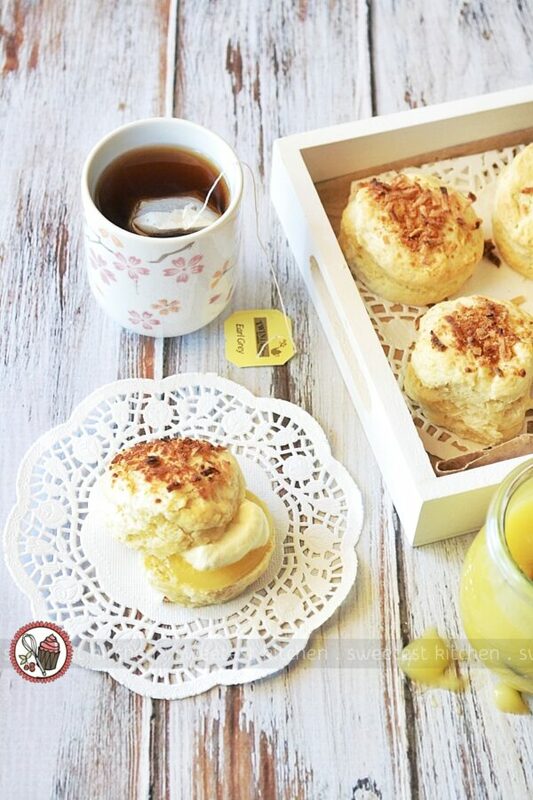 The smell of these coconut scones while they’re baking… they smell fantastic! 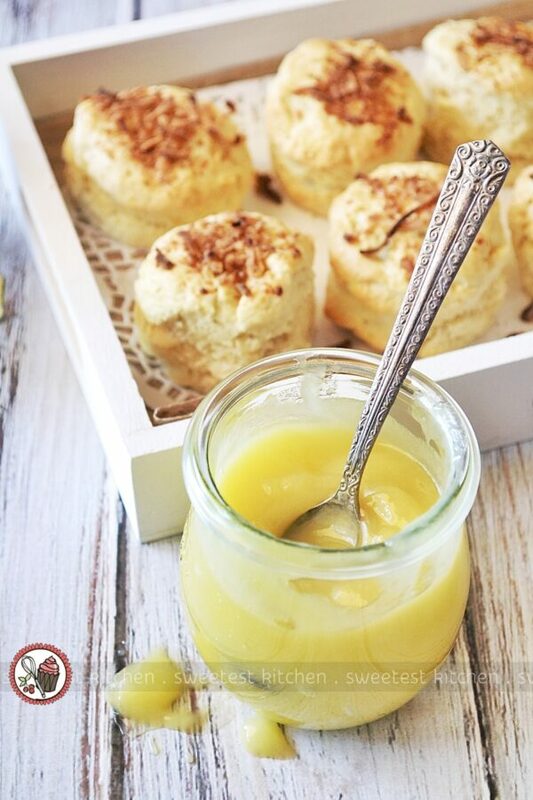 The original recipe for these coconut scones comes with a recipe for homemade lemon curd as well, which you are welcome to make, of course (just check the original recipe link for instructions), but I opted for the easy way and bought from the shops! 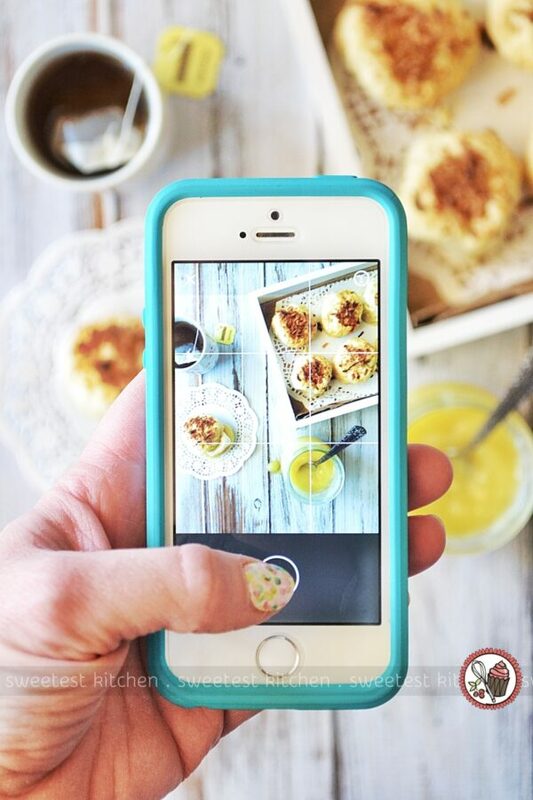 Serve these beautiful little scones while still warm, dollop on some lemon curd and cream (we used homemade unsweetened whipped cream) and enjoy with a cup of tea. I couldn’t think of anything better for morning tea. 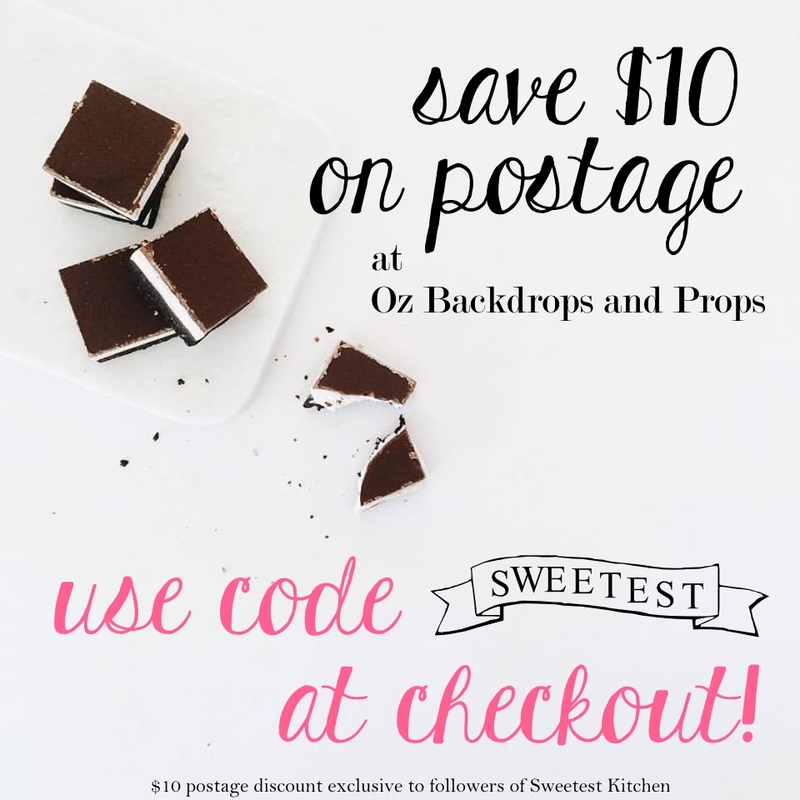 A classic scone recipe with a coconut twist! 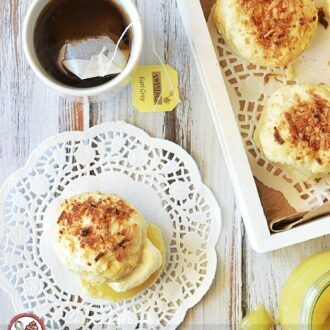 These are perfect for morning tea with lemon curd and cream! Sift the flour and caster sugar into a large bowl and stir to combine through. Rub in the butter with your fingertips, or a pastry blender, until the mixture resembles fine breadcrumbs. Make a well in the center. Pour 220ml of the coconut milk into the well. Use a butter knife to mix until just combined. Tip the dough out onto a lightly flour surface and knead gently until smooth. Shape dough into a 2cm-thick disk. Use a 6cm round cutter to cut 12 rounds from the dough, rerolling the scraps as necessary. Place scones, just touching, on prepared tray. Brush with the remaining coconut milk. 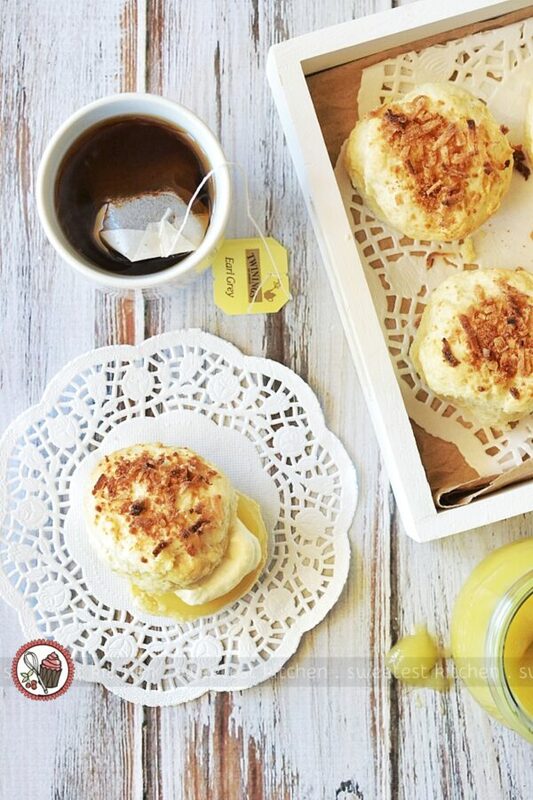 Combine the coconut sugar and shredded coconut in a small bowl and sprinkle over the scones. 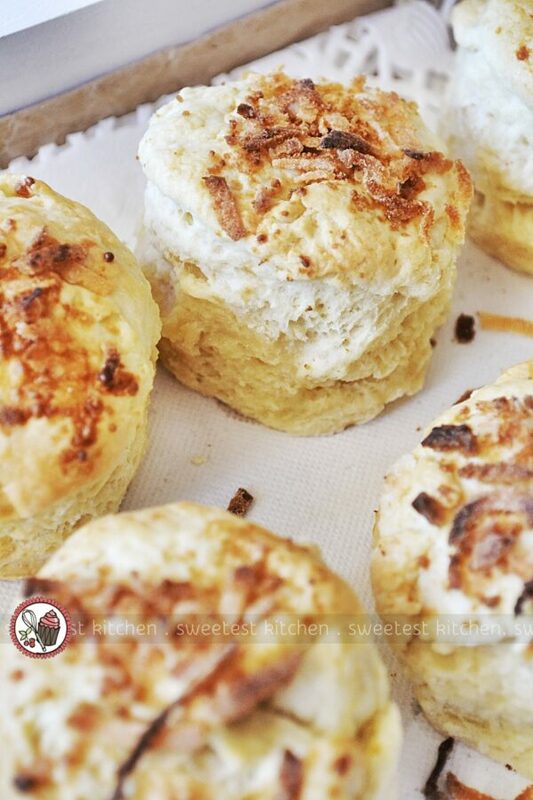 Pat the coconut sugar and shredded coconut gently into the top of the scones (but don't press hard). Bake for 16-18 minutes or until golden and cooked through. Keep an eye on the shredded coconut as it may brown quicker than the scones cook (perhaps try securing a sheet of aluminum foil over the scones if you find this happens to you). Allow scones to cool 5 minutes on the tray. Serve warm with lemon curd and cream.